With build-in bright LED light. Allows you make test in dark or twilight environment. When turn on the light, you can see the test result very clearly. Convenient to use. 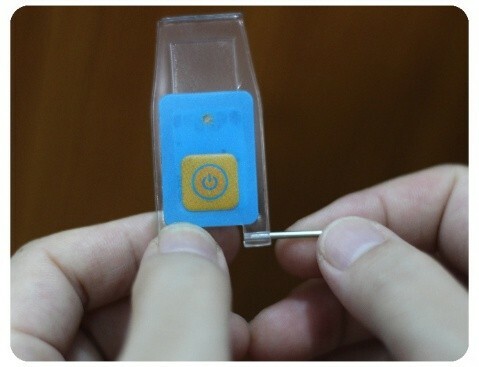 You only need to press the LED cover plate button one time, the LED light will turn on and keep bright. You don’t need to keep pressing the button when use the refractometer. 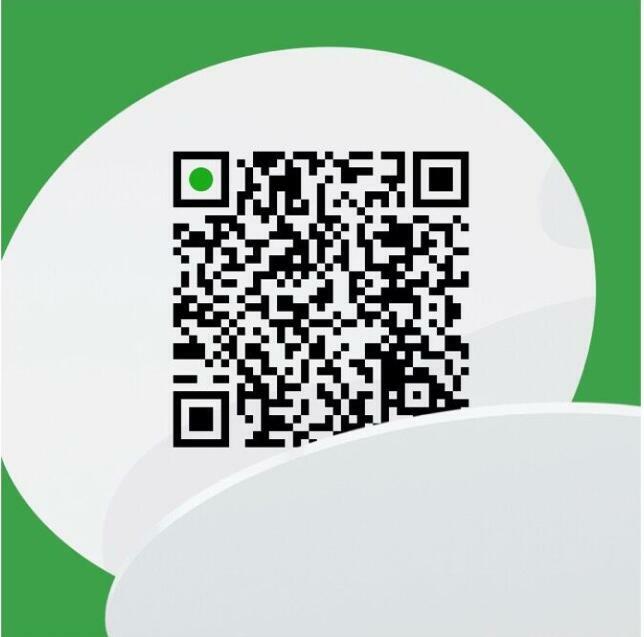 When you press the LED cover plate button again, the LED light will turn off. Compatible with different kinds of refractometers. Our refractometer LED plate can suit for most of species refractometers on the market. 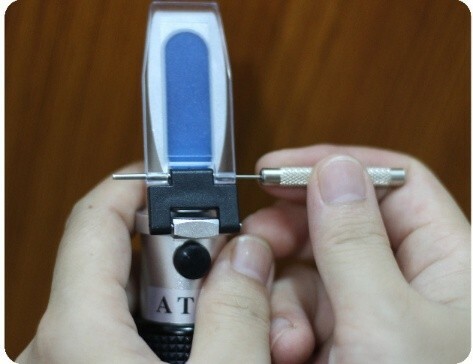 Whether you use our refractometer or not, you just only need to change the cover plate. Different color buttons. Blue, black, red, green, purple, 5 color buttons can be chose. 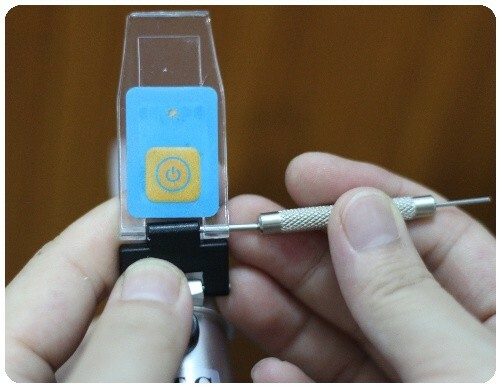 Take off the pin by using the pin remover, and remove the normal daylight plate. Insert the pin to one side of the LED daylight plate. 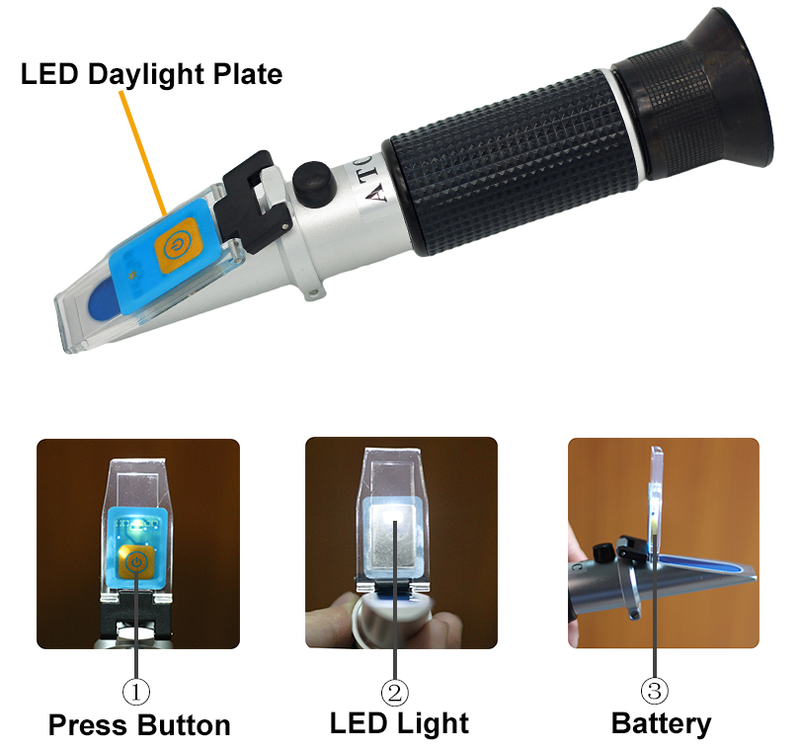 Install the LED daylight plate to refractometer. Use the other end of the pin remover to push the pin in. Done!